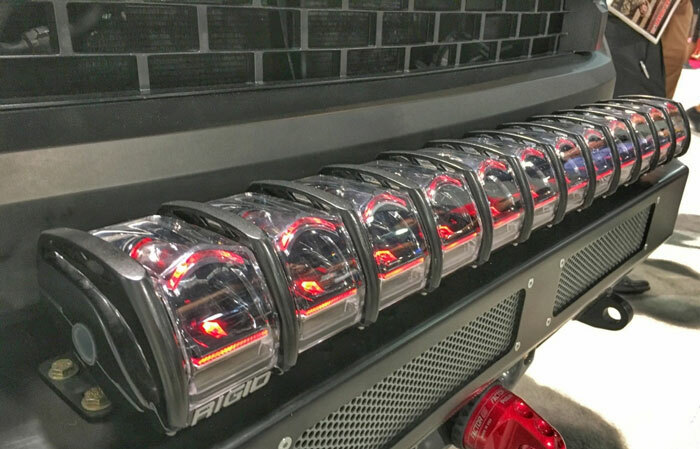 We stock all RIGID adapt light bars and accessories right here in Denver, CO. The RIGID Adapt offers 8 selectable beam patterns that range from broad short-distance lighting to highly focused long-distance lighting in a single fixture. We saw these at SEMA and were simply blown away. The adjustable beam pattern can varry automaticly with speed, or manually using the dash mounted controller. Sick! We loved it! RIGID’s new Active View Technology, which allows the beam pattern to actively adjust with vehicle speed. Base-mounting options in addition to traditional side mounts. 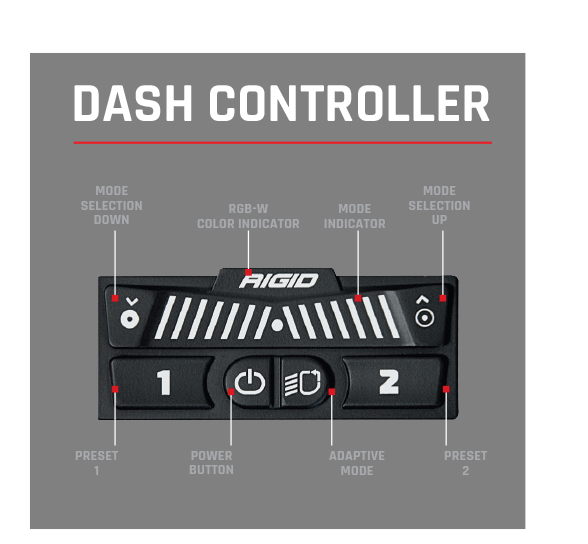 All Adapt light bars Include a wiring harness, RIGID Dash Controller, and mounting hardware.